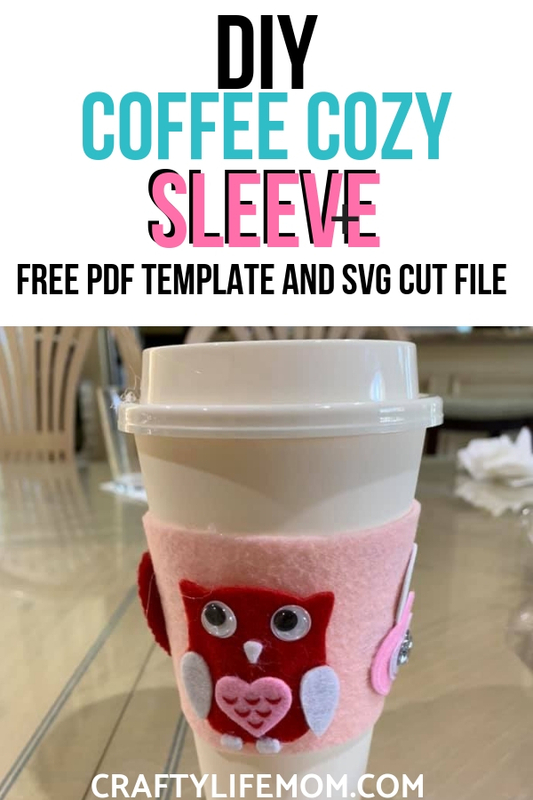 DIY Coffee Cozy sleeve you can create using this FREE template. Learn how to make your own DIY Coffee Cozy sleeve for your coffee to-go cups. This fun tutorial is simple and easy and doesn’t cost that much to make. You can also make these for family and friends as gifts or sell them in your craft business as a cute addon-on item. I love coffee! I literally look forward to that first cup every morning even on the weekends. Want to know what makes my coffee even better? Cute adorable coffee cups, mugs or sleeves to hold my cup of joe!! Yep! I am that girl! Coffee is one thing, drinking in a cute cup is another! Today I am going to share with you how to make these DIY Coffee Cozy sleeves for yourself and even your friends. They are super easy to make and do not cost a lot in supplies. This post contains some affiliate links for your convenience (which means if you make a purchase after clicking a link I will earn a small commission but it is at no additional cost to you)! Read my full disclosure here. The women’s MOPs group I am in at church had the opportunity to make these during one of our recent meetings and I was happy with how everyone made these unique to themselves! These make great gifts or can even be sold at a craft show as an addon purchase with your customers. They are super cute and easy to make. First, you are going to need to gather your materials. To embellish your coffee sleeve you can use things you already own in your craft stash or buy new. Most things you can even find at the dollar tree. Step 1: cut the file. Use either the Cricut or the Silhouette cut file. Or you can print the PDF template and cut by hand. Trace the cut template onto your felt. Then cut the felt coffee sleeve shape out using scissors. Step 2: Using your glue gun run a small bead of glue on one end of the felt piece and glue to the other end. This is the coffee sleeve make sure it is secure. Do not glue it onto your cup. 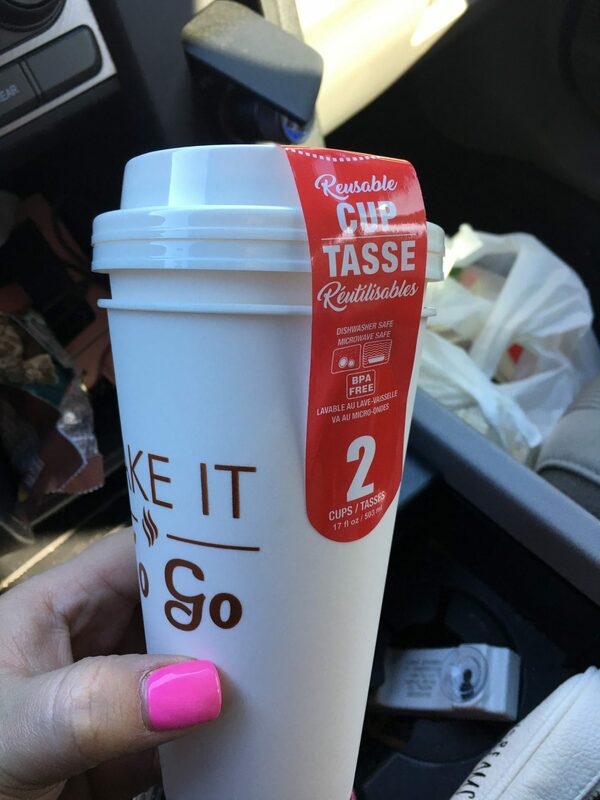 You can use the cup as a guide as to where to put the glue, but be careful you do not glue it to the actual cup. *Note this will allow you to slide the sleeve off and on your cup(s) so that you can wash them in between use. Step 3: Decorate your DIY Coffee Cozy sleeve. Using the embellishments you bought or have on hand, hot glue onto the front of the sleeve the ribbons, bows, rhinestones, or felt pieces you want to decorate your sleeve with. Step 4: Complete and put on your cup and enjoy! Here is a quick video with outtakes showing how I made this DIY Coffee Cozy sleeve. What do you think? I just love the way these turned out! Make these quick DIY Coffee Cozy sleeves for your friends in the office. Never mistake your cup for someone else’s again. These also make great gifts. New to Join the Crafty Life Mom Community? It’s FREE! !If you are new to the Crafty Life Mom community, sign up below. You can get access to my entire private craft resource library. I share printables for crafting projects and home decor DIYs. Plus I have several SVG cut files that you can use with your Cricut or Silhouette cutting machine and checklists and more! Click the pink box below!